Art show opening reception April 7 from 3 to 5 pm. Honored to show my work again with the talented Barbara Mendes at IVAN Gallery . So excited to be part of Startup Art Fair San Francisco this year. Please join me and 60 more artists at Hotel Del Sol. Please stop by and say hello. I am going to be in room 211. So excited to be part of Startup Art Fair Los Angeles this year. Please join me and 60 more artists at The Kinney Hotel. Please stop by and say hello. I am going to be in room 331. Closing reception of the Visionary Heart fine art show. 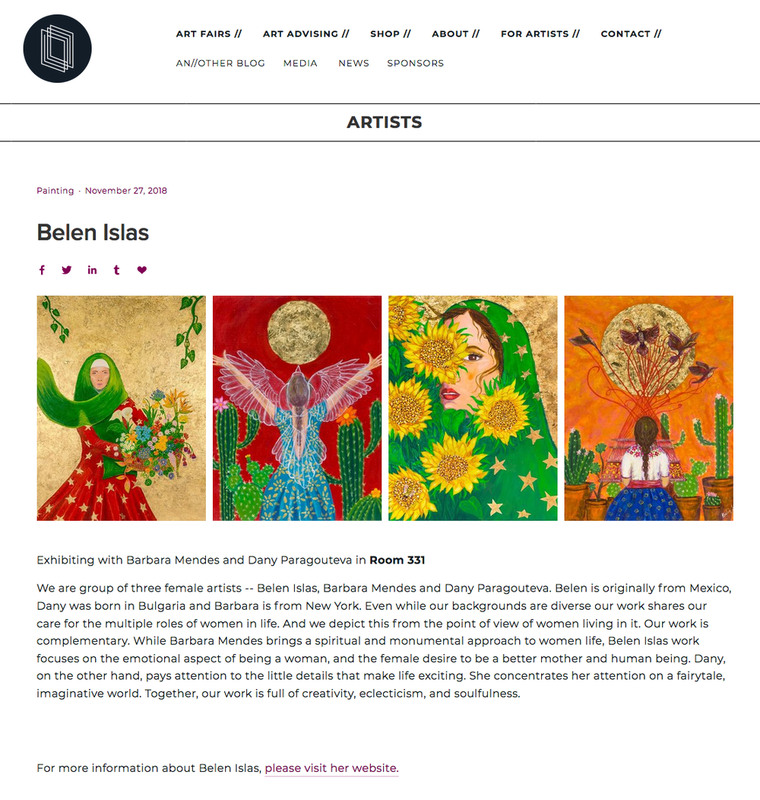 Featuring Barbara Mendes, Belen Islas and Dany Paragouteva who joining forces to create eclectic, bold and soulful art. Please join us for the opening party of the fine art exhibit "Visionary Hearts: Barbara Mendes, Belen Islas, Dany Paragouteva." Please join us at the opening reception of the three female artists’ exhibit Visionary Hearts this coming Sunday, October 7th from 1 to 5 p.m. The exhibit will be on view from September 30th to November 1st. The exhibit features the most recent work of Barbara Mendes, Belen Islas and Dany Paragouteva. The three female artists explore their own colorful and imaginative view of the world through their personal and complementary painting styles.